THIS CLASS IS NOW FULL. All applicants will be put on the waitlist in order of their application. Learn healing skills steeped in ancient wisdom to provide basic health care to yourself & your family. This is a two part class with different topics covered in the fall and spring series. This class will highlight herbal medicine, but we will also incorporate massage, meditation, and other aspects of curanderismo to learn how to care for our physical, emotional and spiritual health. 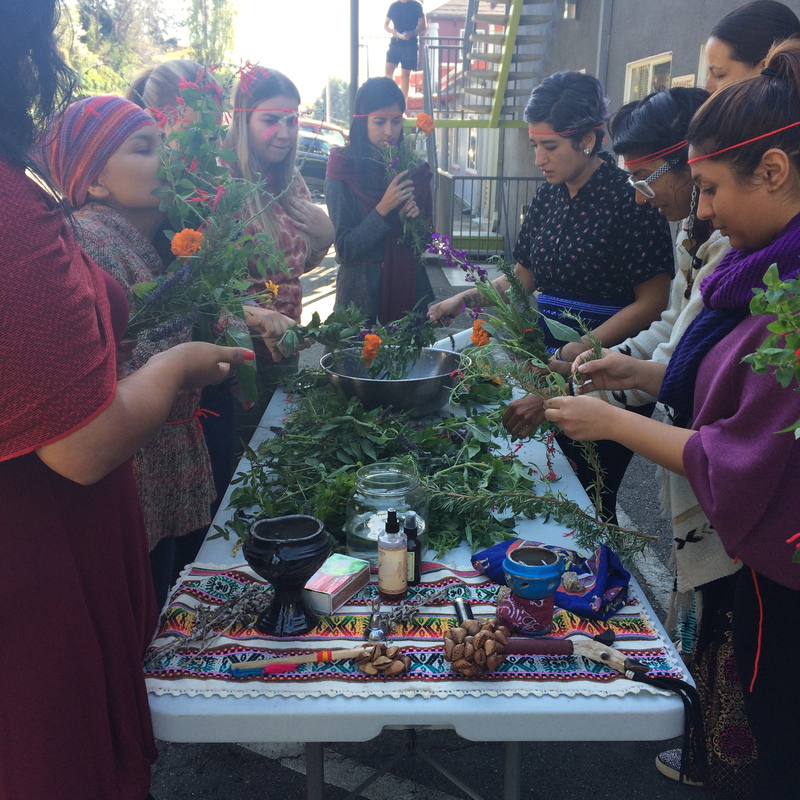 Class time will include hands-on experience learning how to make different herbal medicines and we will also learn and practice curanderismo techniques, such as the limpia (energetic cleansing ceremony). In this class, each participant will assemble their own “toolkit” of herbal remedies for home & family use including: herbal tinctures, salves, cordials, and more! Open to all people of all genders. Instructors: Batul True Heart (lead teacher) and Atava Garcia Swiecicki. Guest teachers include Guillermo Ortiz, Brenda Salgado, and Patricia Juarez.